We can't say we're surprised about this former GM exec's stance, but it's not as bad as it may seem. Bob Lutz hasn't had anything very nice to say about Tesla for some time. Those who scrutinize everything the Silicon Valley electric automaker does likely agree with some (if not most) of his points, while Tesla fans would argue that Bob takes it to an extreme. Amidst all the recent news surrounding Tesla CEO Elon Musk, Lutz made an interview appearance on CNBC. 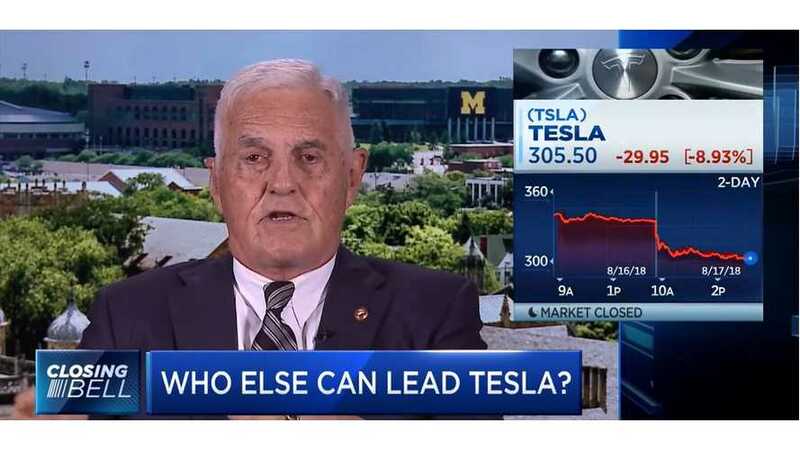 Bob Lutz: "Tesla Supporters Are Like Members Of A Religious Cult" - Elon Musk: "Dear Cult Members, I Love You"
What's The Deal With Tesla's Elon Musk And Bob Lutz? Media coverage has ramped up significantly ever since Musk tweeted that he's considering taking Tesla private. Following that tweet, there has been talk of SEC questioning and potential investigations, a new alleged whistleblower story, and a New York Times interview with Musk himself. Not to mention a plethora of related stories. In Musk's NYT interview, he shared the difficulties he's endured, both personally and professionally, especially throughout this past year. Most of the issues seem to have been accelerated due to Model 3 production. If you have anyone who can do a better job, please let me know. They can have the job. Is there someone who can do the job better? They can have the reins right now. I can’t imagine any sound investor who has money in the company or any independent board member would want him to remain as CEO in light of recent performance. He’s obviously got some emotional problems. He’s self-medicating. He has shown some disturbing signs of being somewhat volatile and unstable. Interestingly, Lutz thinks that Musk should still be a part of the equation. He also says that the CEO should continue to keep his title. Lutz believes that Musk deserves credit and respect for what he's created. With the being said, he also insists that it's time for Tesla to slot someone else into the management role.